The popular idea of a vacuum is a space of complete emptiness, but another more scientific view is a ‘state of least energy.’ In the 1960s Peter Higgs proposed that the ‘state with least energy’ wasn’t necessarily empty. Instead, it could contain a field that mediates force between particles. By colliding particles with sufficient force in the Large Hadron Collider in Cern, Switzerland, scientists have caused a wave to move through the vacuum. In the same way that electromagnetic waves, light, radio etc. 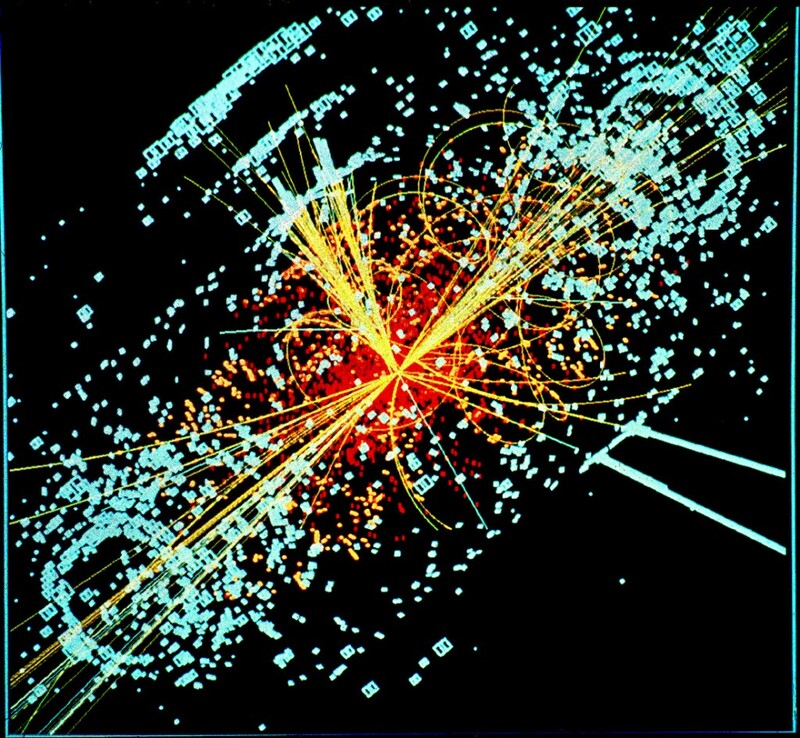 consist of waves of photons, the Higgs particles form waves in the Higgs field. Waveforms have harmonic properties and can be translated into sound.